I grew up the little sister of two older brothers. I was never super girly, but at the same time, would not call myself a tomboy. I never was a daredevil, did not really care for sports as a child, and being dirty was not my favorite thing, either. 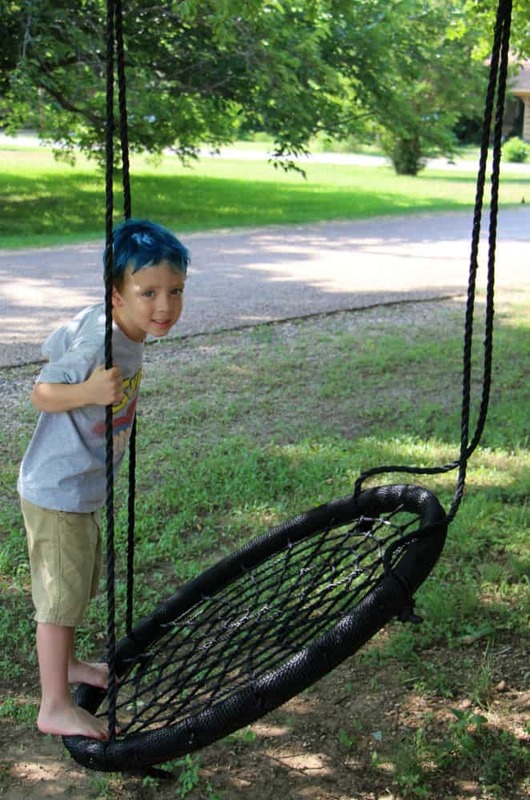 I am overjoyed that I am a boy mom, though, and these things have changed! Well, except the daredevil part. That will never be me. Seriously. The Seven Dwarfs Mine Train ride at Disney World is about as daredevil as I get! Parenting boys is something I love and would not change for the world, but it does require an immense amount of alertness. 10. 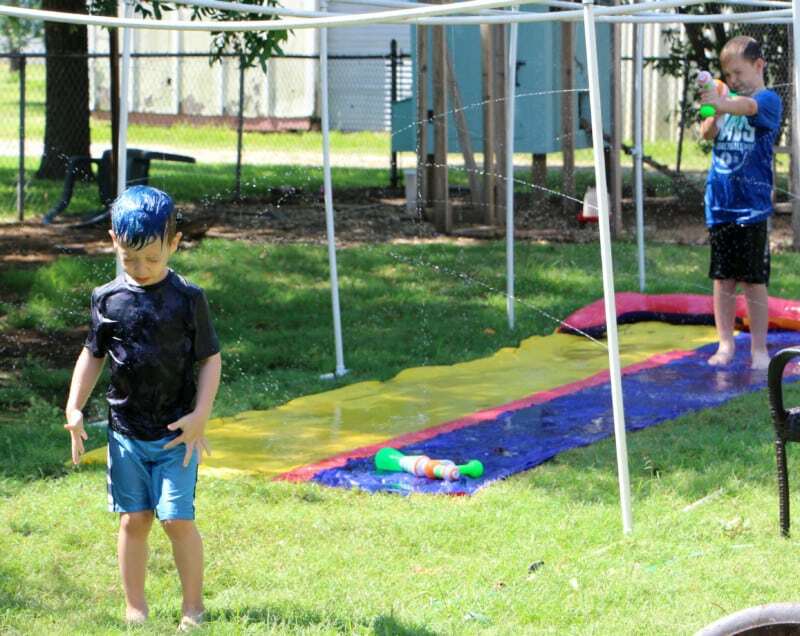 Boys love messes and think they are pretty cool. 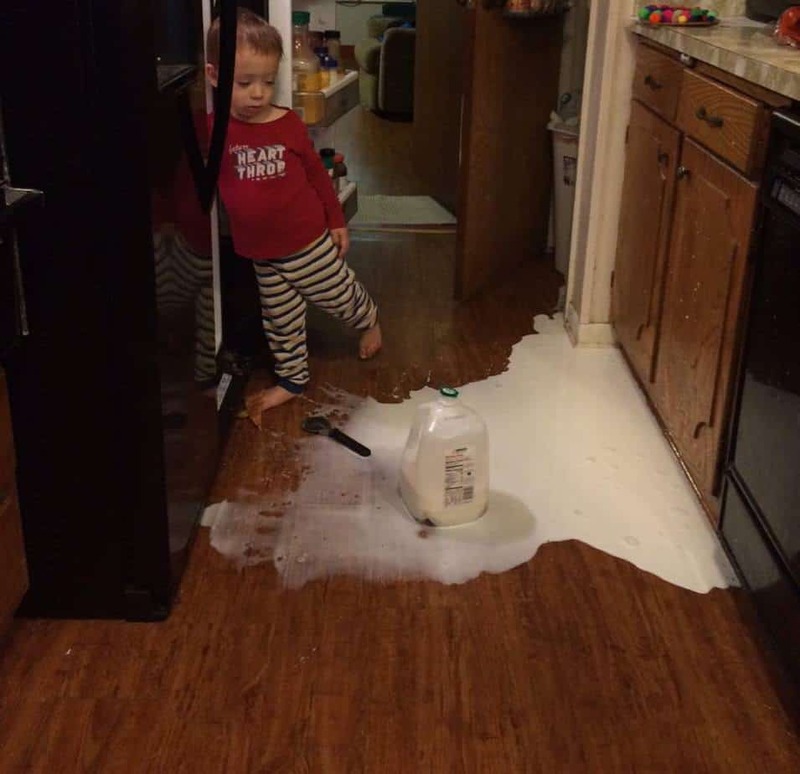 Spilled milk on the floor? Meh. Looks fun to play in! Pretty sure had I been more alert when this happened, this would not have happened, but I suppose I cannot be everywhere at once. 8. Boys can’t help throwing, kicking, or shooting any and every ball that they see. If you are in our house, chances are one of the three boys is playing with a tennis ball, basketball, or soccer ball. Baseballs have been banished and so have golf balls and big inflatable beach balls, due to something getting broken or someone getting hurt. The balls are supposed to stay in one room, but they do not. I always have to be on my toes to end games of “wall ball” in the living room, soccer in the kitchen, or basketball dribbling down the hall way. Of course I have to show them my ball stoppage skills and steal the ball in order to do so, sometimes. 7. Everything is a competition. Seriously. Everything. Doing chores? Competition. Riding bikes? Competition. Going to the playground? Total competition. Mommy needs to be ever present to make sure one of their brotherly competitions does not end up with someone getting hurt. 6. Boys often cannot predict the results of their actions. 5. 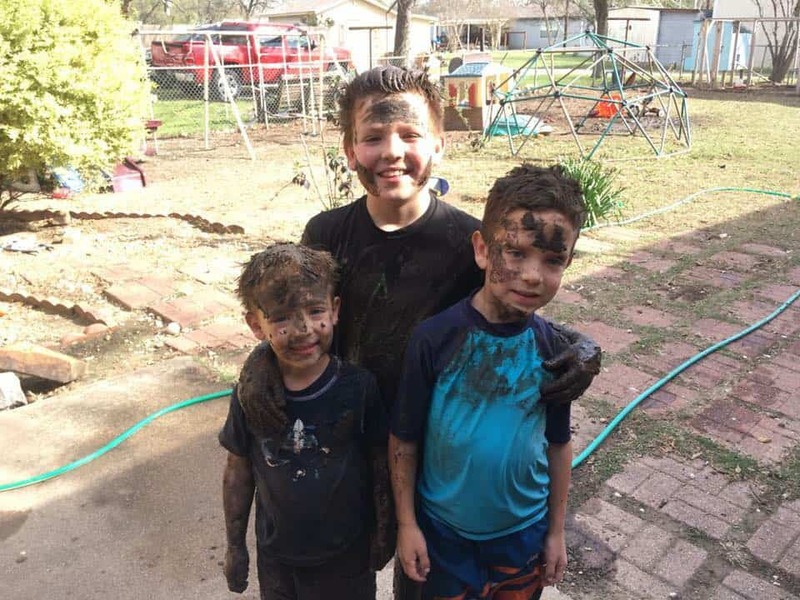 Boys want to help their mommy. One time when our oldest was only 2, I heard him call from the other room “Mommy! I bringing your laptop!” EEK. Luckily, I was able to run to him and nothing broke…that time. He was trying to be helpful, which I appreciate, but there have also many many times when helpful turned disastrous! Watering gardens, chickens, and cars is a favorite pastime if I am not careful. I cannot count the number of items I have rescued from the fish tank. Also, when a glass of water is left on the table after a meal, just do not drink it if you return to the table. Trust me on that one. Salt, floating crumbs, and cheese have been discovered in water glasses, thanks to precious little water fairies. 3. Boys love lightsabers, swords, toy guns, sticks and every other kind of toy weaponry. For the longest time, the older two could NOT play with any type of weaponry around the little brother. He would take it and cause serious pain to anyone who was around. He did not get it. Most of these weapons lived for months on top of our refrigerator. Confiscating them was a gift of mine, as was catching them as they fell off of the fridge…. Now I have to always be alert as they play to make sure no one is hurt. 2. Boys like to play rough. This is obvious. I had to make a rule that they are not allowed to wrestle unless their daddy was home, only because I did not want to have to watch them wrestle all day long. Do they follow this rule? Of course not, but it does help. 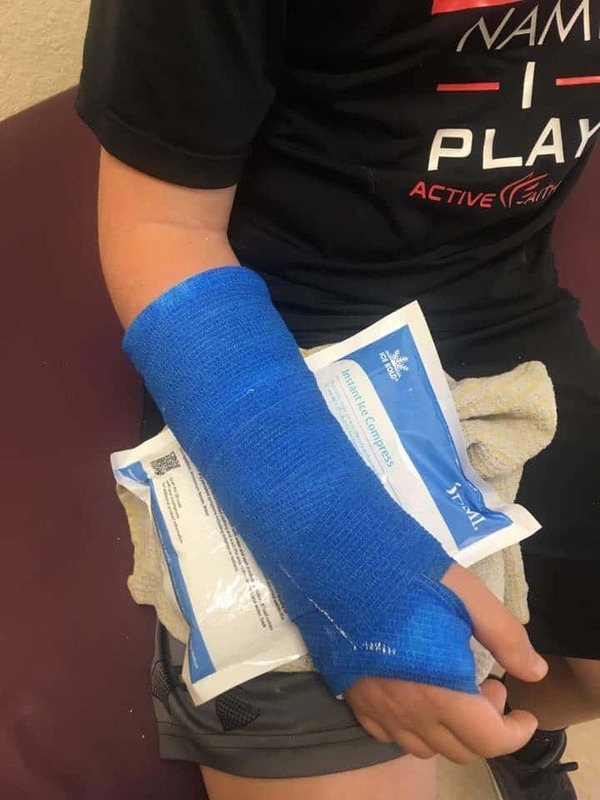 Wrestling is great for little boys, until someone gets hurt. 1. Boys love obstacle courses and climbing as high as they can. I am not a helicopter parent, but I always try to stay within running distance when one of my precious boys decides to climb anything at the playground or park. 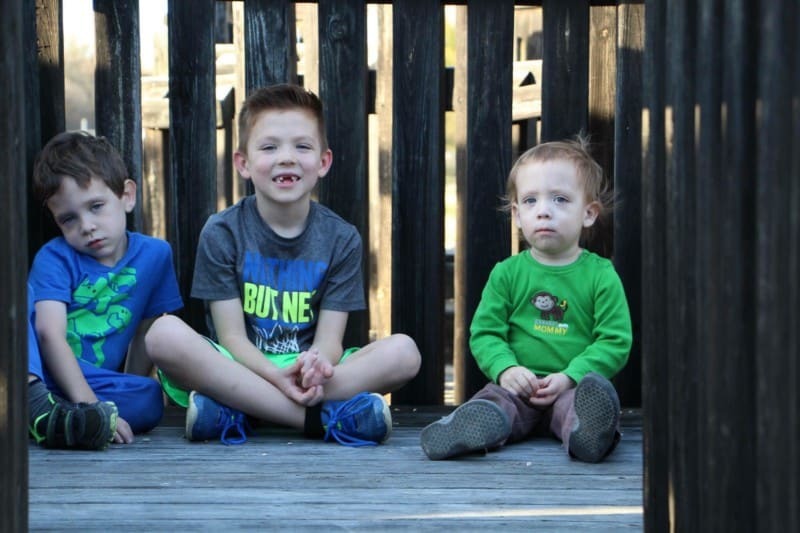 They get too adventurous and have been known to freak out at the top of playscapes or climbing walls. I do not usually have to go rescue them, but it does help to have someone on the ground guiding their steps or just being there to break their fall! 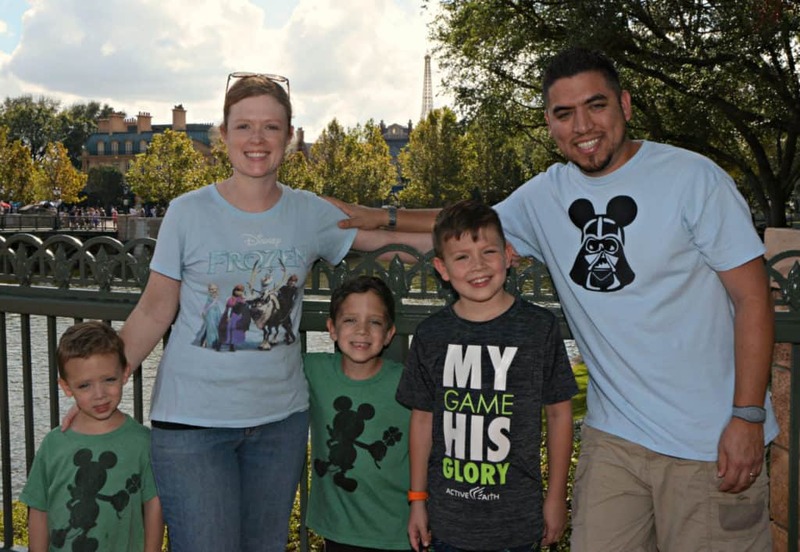 So what are we moms of boys supposed to do? Take away all balls and toy weapons and any access to water and dirt? No. 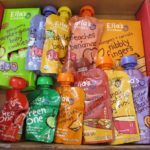 Kids need to experience safe things and we need to give them an outlet to do so. Must we watch them like a hawk? No. I always give my kids age appropriate independence and they have my trust until they give me a reason that they should not. 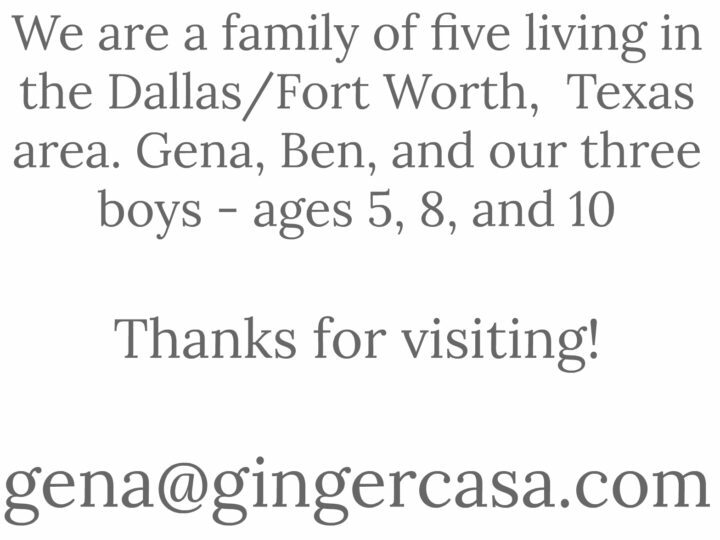 They have lots of opportunities to run and play, learn new things, and express themselves in a safe way. 1850 Brand Coffee helps me to stay alert and be able to make bold decisions every day. My morning cup of coffee is something I look forward to, to get my day started in the right direction. When I saw the new 1850 Brand Coffee at my local Target, I was immediately drawn into the artwork on the front. You see, the boys and I really like watching “Little House on the Prairie” together and these unique packages of the new 1850 Brand Coffee, especially the Trailblazer package, immediately made me think of the Ingalls family! It is just a little added joy to my morning! Every day parenting boys, we have to be on our toes. Every morning has to start with a first bold choice in the morning. 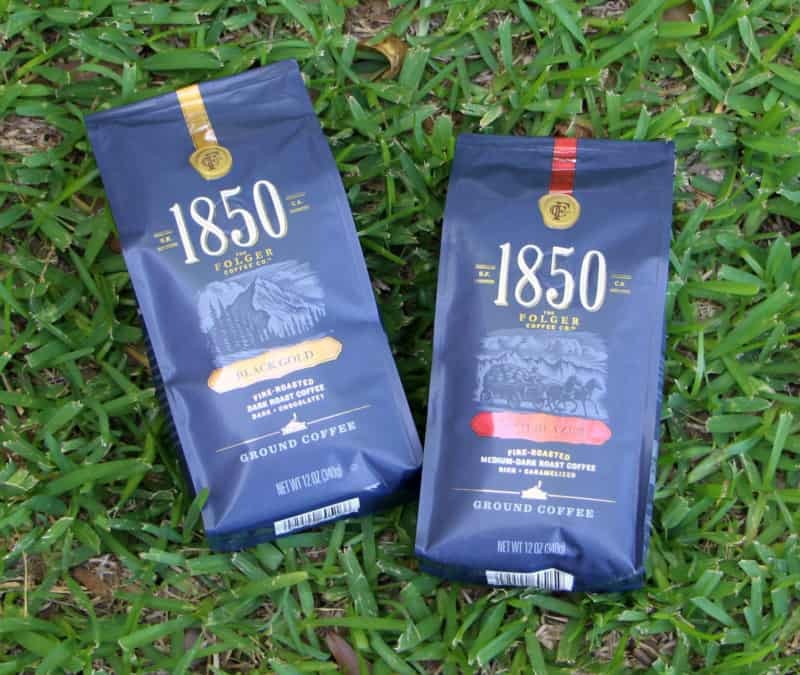 1850 Brand Coffee is a bold, yet smooth coffee for those people who have to be alert and on their toes all day long. 1850 Brand Coffee beans are fire-roasted and ground to help bring out rich taste and aroma. In 1850, J.A. Folger boldly started something new and innovative to help the prospectors as they sought their fortunes. Today, there’s still no better way to start our day, no matter what we have to accomplish during the day, than with a bold-yet-smooth cup of coffee. 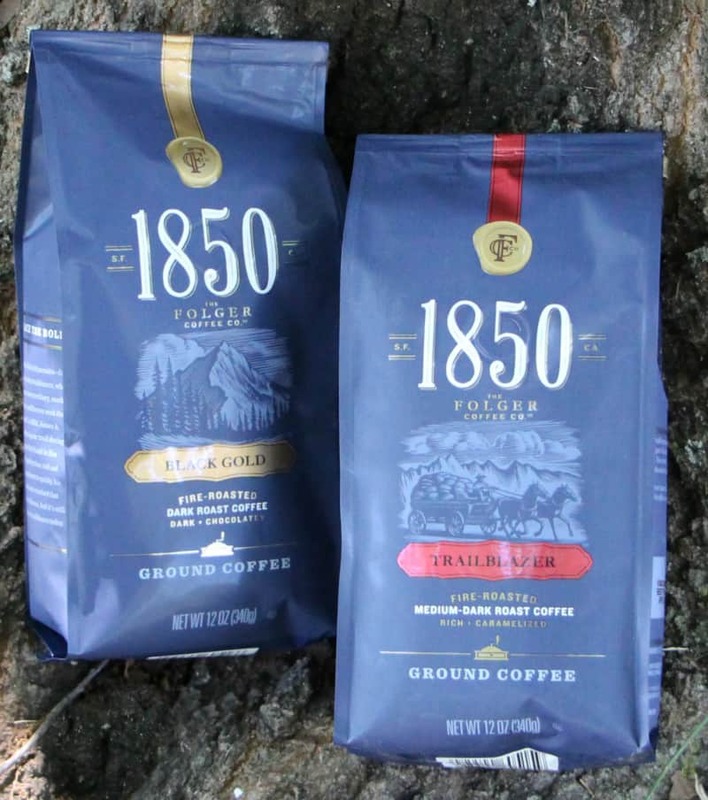 1850 Brand Coffee is the official coffee of bold people fueling brave endeavors, whether it is starting a new business or preventing three brothers from turning the entire house into a mud pit! 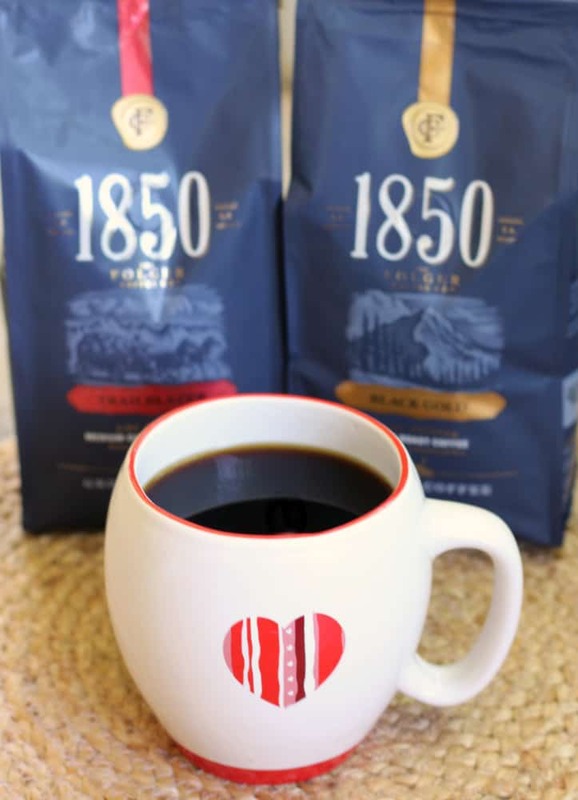 1850 Brand Coffee is available in four signature blends of Ground and K-Cup coffee and will also be available in 3 Ready to Drink flavors. Bold & Smooth, never bitter taste – coffee shop strength, but not exclusively dark roasted. So go ahead and fill up your cup with 1850 Brand Coffee and get ready to do anything with your day. 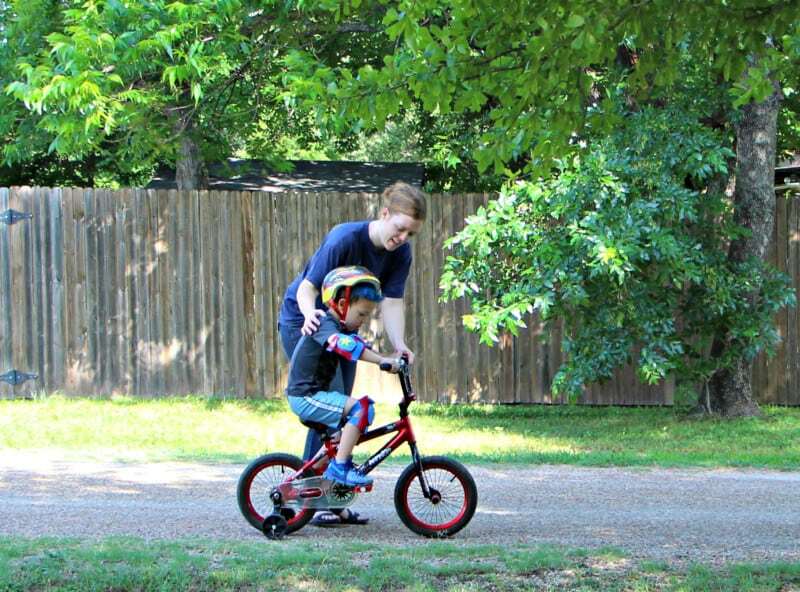 May your day have enough patience and alertness to teach a four year old how to ride a bike! 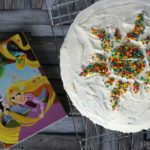 Brownie Chocolate Chip Cookie Cake – A Special, Easy To Make “Tangled Before Ever After” Treat!